Cassini took this raw image of the 50-mile (81-km) -wide moon Pandora on May 7, 2011. The oval-shaped shepherd moon orbits Saturn just outside the F ring. 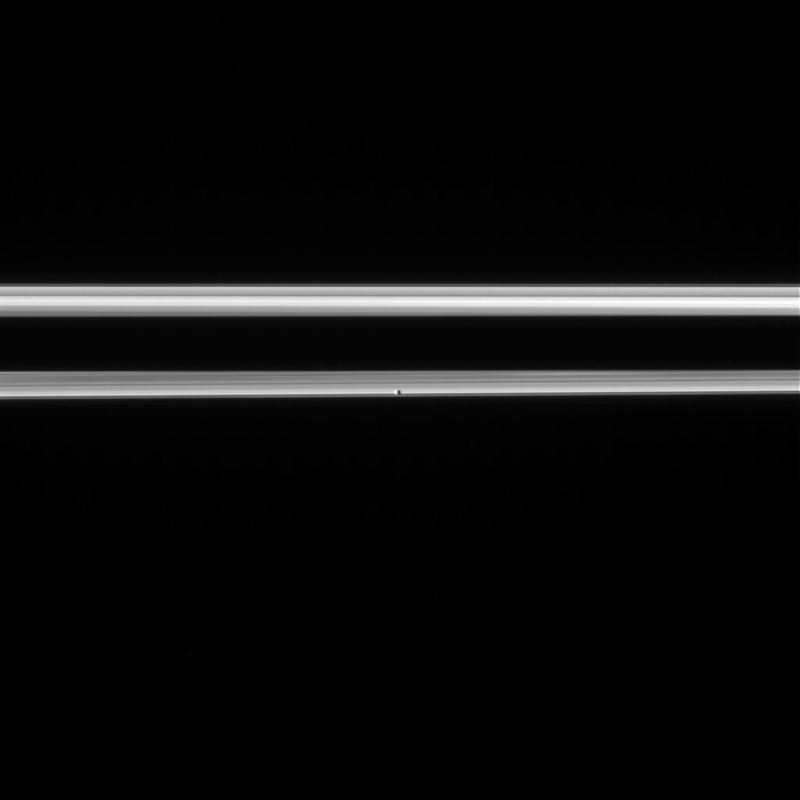 Saturn’s long shadow is cast over the central portion of the rings in this image. Any info on the range from which this image was acquired? That detail wasn’t on this particular raw image tag, but I would assume based on other similar shots that we’re looking at a 2-million-plus km range here.